As your PC gets older, it has accumulated with lots of unwanted programs and useless files generated by Windows, register errors and web browsing. Most people find it challenging to maintain their personal computers. IObit Advanced SystemCare Pro offers an all-in-one PC care services. 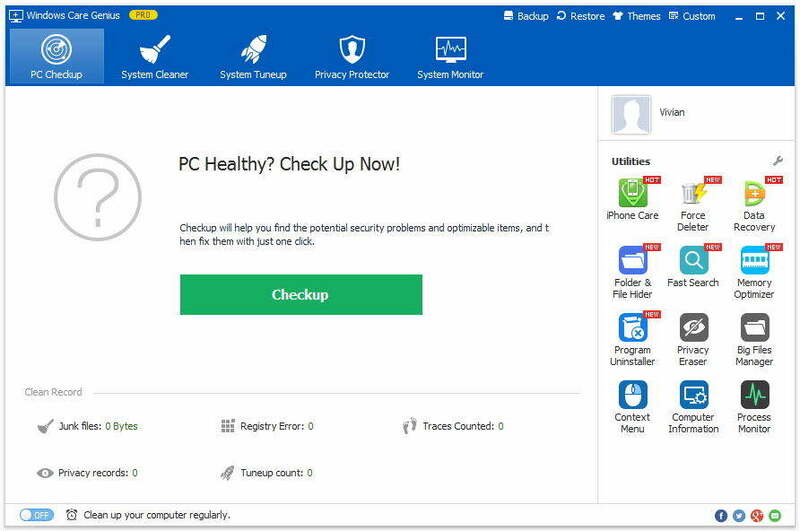 Integrated with malware removal, registry fix, privacy protection, performance tune-up and system cleaning capabilities, this PC system care tool can clean up all obsolete files to free up more disk space, optimize and defrag invalid registry entries, protect privacy and secure online experience. Free up more disk space: Remove caches, temp files, invalid registry entries and other obsolete files with 1-click. PC speedup and optimization: ASC 9 will tune up PC performance by optimizing system and HD items. Safer web browsing: Protect you again malicious attacking and secure your online experience. Here is how to get Advanced SystemCare 9 Pro for free. 1. 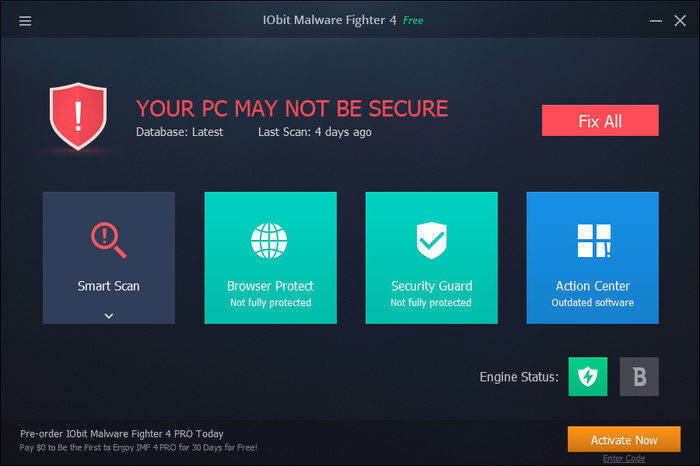 Download and install Advanced SystemCare Free on IObit website. 3. 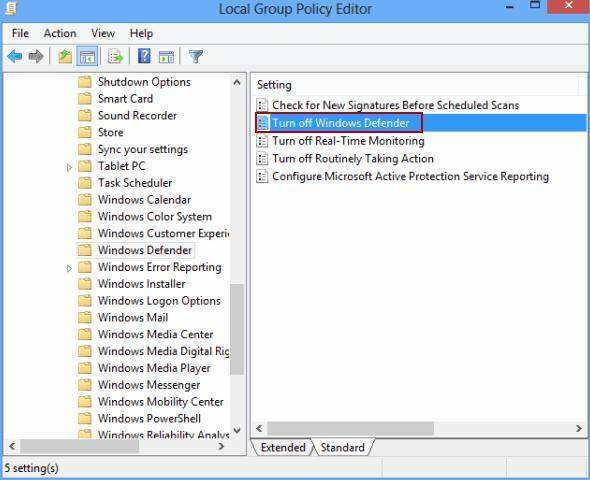 Copy the key below and paste to the License Manager screen. If you are using an iPhone or iPad, you may be interested in program similar to Advanced SystemCare Pro for iOS cleaning and speedup. Tenorshare iCareFone is an iOS systemcare and optimization utility that can clean up iPhone memory to release more space, transfer files from/to computer freely, backup & restore data without iTunes restrictions, as well as diagnose all iOS problems and fix crash/stuck/errors without causing data loss. The latest version supports iPhone 7/7 Plus/SE, new smaller iPad Pro and iOS 10 perfectly. 1. Sleek interface: Tenorshare iCareFone has a sleek interface, you’ll see the six functions on main interface. Choose one of them to continue. Remove all caches, crash logs, residual files, etc. Get rid of temporary files with 1-click. Compress photos lossless to release 70% of photo’s space. Intelligently find files over 5 MB and allow you backing up to computer and then removing them from iPhone to reclaim memory. Display apps according to size so that you can handle them in batch. 3. Free iOS data transfer: Manage and transfer files between iDevice and computer freely. 4. Repair iOS system: Fix iPhone crashes, randomly restarts, boot loop, stuck at apple logo, black screen, etc. without losing files. 5. Backup & Restore without iTunes: Save backup files that you created at different time points, which iTunes does not support. Busy and unorganized people find it hard to maintain PC and mobile devices, IObit SystemCare and Tenorshare iCareFone will be your best assistants to keep your computer and iOS devices clean and safe.